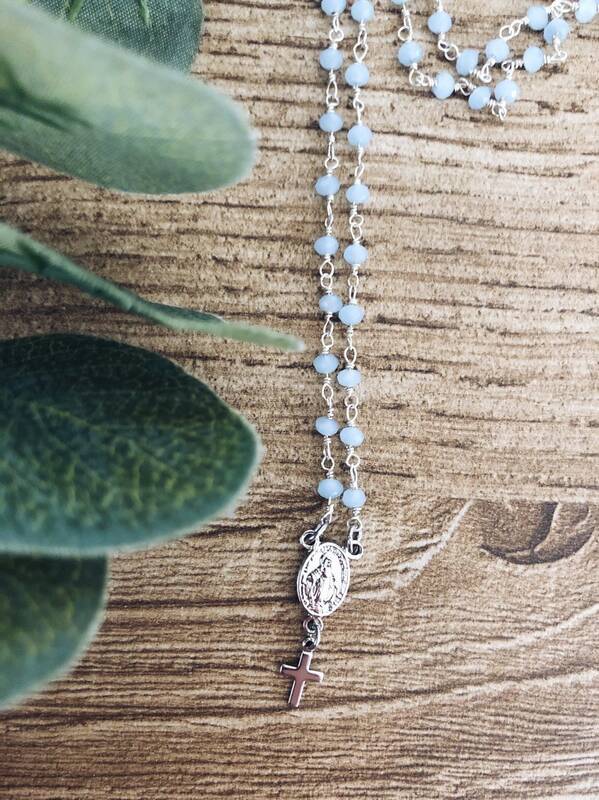 The necklace for sale is a classic rosary made with brass chain with celestial beads and madonnina pendant. At the end a small cross. Both pendants are made of brass. Closures and hooks in 925 silver.